Save pastor Saeed trapped in Iran: Less than 24 hours! Right now, Iran and the U.S. are seated at the table negotiating a nuclear deal. At the same time, Congress is considering critical legislation to legally review that deal. We have about 24 hours to get an amendment passed legally requiring Pastor Saeed’s release before any deal with Iran is finalized. We’re aggressively fighting on Capitol Hill, working directly with Members of Congress. You do NOT have to donate. There is an option on the page, please sign. God doesn’t give up on us like people do. We were saved by the blood of Jesus on the Cross, by God’s Mercy. I am so grateful for the changes in my life this past year…that I have to make this an actual a post when I’d planned on only sharing an image. I’m flooded with blessings. My grateful heart sings out tonight. Growing closer to God is a very exciting and interesting experience. You may be hesitant to approach Him, or not. We all have our own identities, pasts, our own struggles, our own personal understanding. If you know God or seek after Him, you will find that we all have our own unique, individual relationships with The Lord. He knows this. There’s a place inside of all of us that yearns for love. We crave it. We all want to be accepted and cared for whether we admit it or not. God is love. He created that space inside of you. In fact, He wants to be included there! Life can be quite confusing at times, but there are answers for everything. Take forgiveness for example. Tonight I leave my darkest fears, my biggest worries, and everything else in the hands of God. I usually unload my heart before bed in prayer and He gladly picks up my pieces. With every day that comes I am stronger than before. You can put aside all worries, fears and doubts. Yes, you can! We can choose to know Peace-the only peace that surpasses understanding. How is the peace of God in Christ different? This type of peace holds true no matter how horrible the situation. This peace is so powerful that upon receiving it, we are made free, and able to face anything. Everything! Faith must be tended to daily, for just as we need food to survive as human beings, our spiritual selves (our souls) thrive on the spiritual food of God’s Word, aka The Bible. Spiritual famine leads to soul sickness. No matter how much you have or how great your life seems, you will be unsatisfied until you satisfy your soul. It is very easy to get caught up in the matters of this life: finances, relationships, work, health problems and so on. A single negative thought, if held onto or obsessed on…is deadly. The very concept of faith knocks out all doubt. Doubt is absent in faith! I will not worry about lack because I know that God has my part ready for me somewhere I may not see at the time. The decision-making that drive me nuts, and all that my heart wrestles with, are already worked out by God. If I just go to Him for guidance I will be able to find my way, perhaps not easier or more quickly, but by including God in all matters, I’m guaranteed to find the right way. Because of Jesus, we can have confidence, knowing that God’s got it all under control. Perhaps you will consider giving The Creator a chance, a second glance…and know that He holds it all in His hands. The answers were there before you had the questions. Wishing sweet dreams to everyone. Things You Can Do For Others If you Are Financially Blessed. 1. Care baskets for troubled families in the ICU waiting room. Hospitals aren’t anything like home, and having to stay overnight in a waiting room for days due to a loved one’s critical condition is beyond difficult. The people of the ICU waiting rooms are hurting inside and out. Their hearts are breaking while they wait and pray for answers, while their bodies ache from sitting and waiting in a medical facility. They need comfort and love. How can we help? Care baskets could be put together for each person or family tied to an individual inside the ICU. Perhaps these baskets could include things like some candy, a travel pillow, journal & pen, tiny Bible with a list of helpful verses for this trying time, pack of tissues, or anything that seems reasonable and right for you. There are so many places on earth that would be very blessed in much needed support. To name a few, Cancer Research or other types of health related things. There are Hospitals for sick children like St. Jude, and the Shriner’s that do not turn away any child because of financial difficulties. There are animal charities if you choose, and so many other causes could be blessed with the help of the wealthy. You can be sure that your donations and funds are being used for the right thing in personal investigating of how these local organizations are operating and such. No matter how blessed you are in finances or anything…The greatest gift you can share with the world is love and compassion. Time is far more valuable than things. Hugs and smiles are priceless. Reaching out to those in need, even it be a single soul, makes the journey of life far sweeter. You can also donate or Sponsor other human beings on a global level. For example persecuted people in other areas around the world, those in poverty, and much more. 3. Get Involved In Your town with the local city council and church leaders. With money you can get the manpower required to build things that are very much needed in your area. Maybe the city park for the children could use a nice fix up for a better place to play. You could help out with things close to home. See what the local schools are in need of-maybe they’ve run out of funding for particular tools or a new bus. 4. Have flowers or little gift boxes made and sent to those who are staying in nursing home facilities. I know from personal experience with my dad just how gloomy those environments can be. Nursing homes are in need of cheer! 5. Start your own business to help change the lives of the people in your city…and in our world! Maybe you have some ideas of your own, and you know just what to do to make it happen. Do your research to find the need, the location you desire, creating an outline of what must be done that can shake the lives of those with broken spirits and a lack of faith. Consider how your money can be spent in a better way, for the good, even if not for these things. What we invest it in is important. These are just some ideas I have that I wish I could bring to life. If you are well and able, blessed with far more than enough, please think on these things. I’m sure there are many other things that can be done to help others, using money for the good of mankind. If I had the money, I would jump in to help do all of this. I guess right now my heart is greater than my purse. So I challenge you. It’s not about making a name for yourself or how much you spend. It’s about giving generously with love for others. I hope this post will inspire everyone in one way or another. God bless! 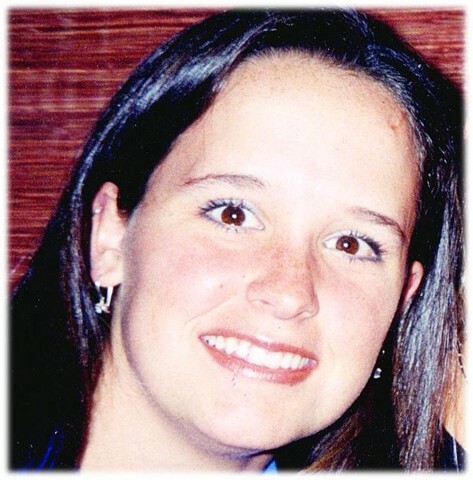 “The foundation is a 501(c)(3) non-profit organization dedicated to the memory of Meagan Napier and her friend Lisa Jo Dickson who were killed by drunk driver Eric Smallridge on May 11, 2002. We have formed this foundation to raise awareness of the dangers of driving under the influence of alcohol and to promote forgiveness and healing. 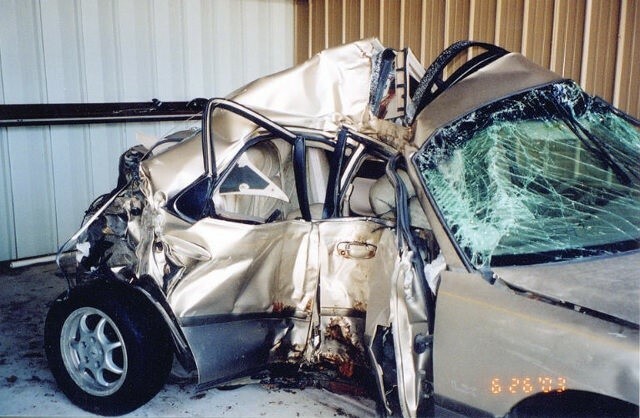 Our families: the Napiers, the Dicksons, and the Smallridges believe it is extremely important to educate everyone about the horrible consequences of drinking and driving. Meagan and Lisa were loved so much and we miss them more than words can say. Their lives were taken in a senseless car crash that could have been avoided. One decision, one moment in time, and many lives were irreversibly changed! Renee Napier, Meagan’s mom, has made it her mission in life to share this story with as many people as possible. She is passionate about saving lives! Since March 29, 2004 she has presented this story to over one hundred thousand people, young and old. In her presentation Renee tells the story, talks about the healing power of forgiveness, shows videos that feature Eric in prison and since April 22, 2010, she has been allowed to have Eric join her as an inmate, bound by shackles and handcuffs, to share his powerful testimony. They conclude with a compelling slide show featuring Meagan, Lisa and Eric. Afterwards, the audience is invited to go outside and take an up close look at Lisa’s mangled car… the car in which she and Meagan died. I first heard of this wonderful foundation from the song that it inspired by Matthew West called Forgiveness. 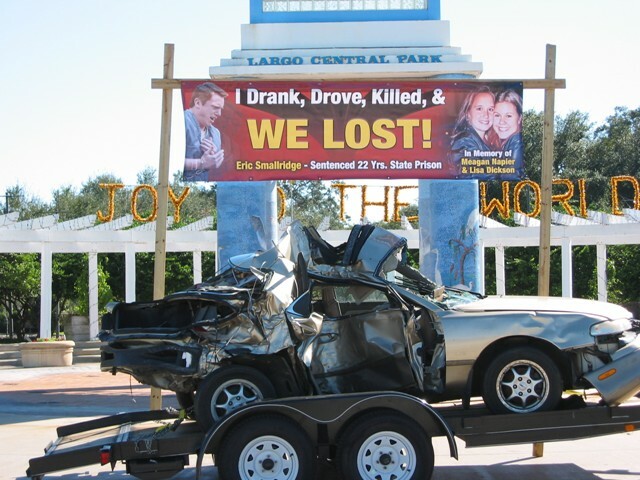 This is an awesome campaign to prevent all that can happen as a result of drunk driving. The truth of it all is amazing. I encourage you to listen by clicking Forgiveness to hear how this inspiring story inspired the song. I really encourage you to share this link. I know that we are all living by our different means, some of us blessed with very much, a little more, enough, or less, poverty line. Regardless, even if you do not plan on donating for whatever reason, please share this. Right now the foundation has only raised 5,000 dollars–20,000 dollars behind the amount needed to be matched with the same by the Florida Department Of Transportation that would be granted. And even though it is October 24th, your help and the Will of God can make this happen. She only has until the end of this month. Actual Photos from the website. This is an awesome line to remember not only in the troubled, dark times of life, but always. You are not over. The most beautiful parts of life bloom after the worst of storms. What has scarred you, knocked you down, or near destroyed you is actually helping you discover who you really are. The greatest pain can be the greatest teacher. We must keep the eyes of our heart open, and in knowing that nothing lasts forever…be ready to receive the truth. You just may find that the worst thing has made you your best. Remember who you are and where you are headed despite any negativity that you may face today. Let’s make the most of today! Let’s let go of yesterday and enjoy today. Tomorrow is not promised. So, share your love. You are the rainbow in someone else’s cloud even if unaware! :0) You are an answered prayer waiting to be delivered. There is this blessing inside of you that only you and you alone are capable of sharing with the world! Unleash your spark! For more awesome & positive stuff check out Karen Salmansohn!